The MSDN article Blue Screen Data explains how to attach a debugger in the section titled "Reading Bug Check Information from the Debugger". I have a BSOD issue right now (Microsoft Support forums post). If you can help with it it would be great. We do need the actual log files (called .dmp files) as they contain the only record of the sequence of events leading up to the crash, what drivers were loaded, what was responsible, etc. Thanks for the help I just had to reinstall my windows using the UEFI method. It seems my BIOS firmware has buggy legacy support - I think. When I'm using UEFI method to boot into a new version of Ubuntu there are no kernal panics. Everything runs smoothly. 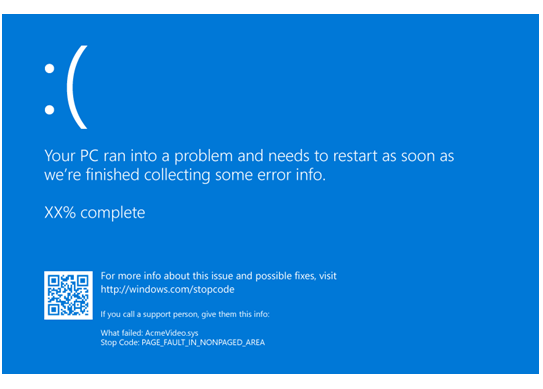 "I would like to know if there's any way to make Windows 10 show more details when crashing like windows 7 did"
Restart and next time is BSOD's it will show you the old bluescreen with error message. The other answer does provide a way to get a more verbose blue screen message. However, post-event (as you may miss the screen showing up), it still outputs dump files in the same way that older versions of Windows did with more information. You can read these dumps using WinDbg Debugging Tools for Windows, or NirSoft BlueScreenView - an easier to use alternative that has the ability to mock up a blue screen like the one you're referring to. 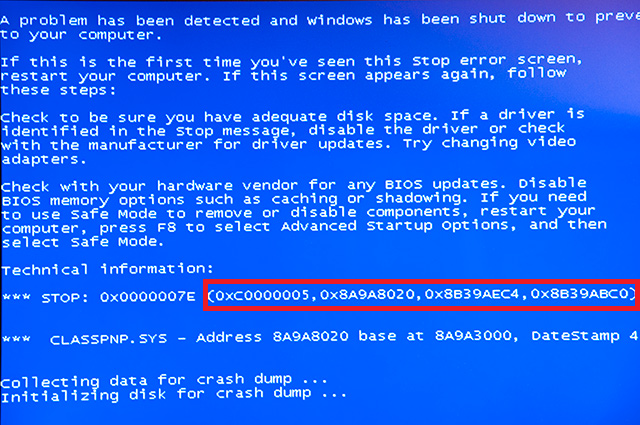 Blue screen dumps are, by default, saved in %SystemRoot%\MEMORY.DMP for Complete Memory Dumps, or in %SystemRoot%\Minidump as Minidumps. You can change this setting by pressing Win+X -> System -> Advanced System Settings -> Startup and Recovery Settings. The dropdown box at the bottom states what you're currently using. I would recommend Minidumps as this way you can keep several of them without them overwriting each other. Not the answer you're looking for? Browse other questions tagged windows windows-10 bsod debug or ask your own question. Is there a way to reverse a windows update? Can you help me diagnose the reason why my desktop PC randomly shuts down? Fastest way to reproduce a Blue Screen of Death (BSOD)? How can I resolve the BSOD BAD_POOL_CALLER 0x000000C2?